Tungsten ring in silver colour with shiny cut surface. 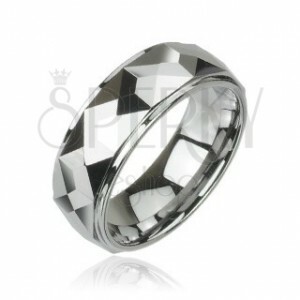 The tungsten ring in silver hue is decorated along the whole surface with cut angular plates. 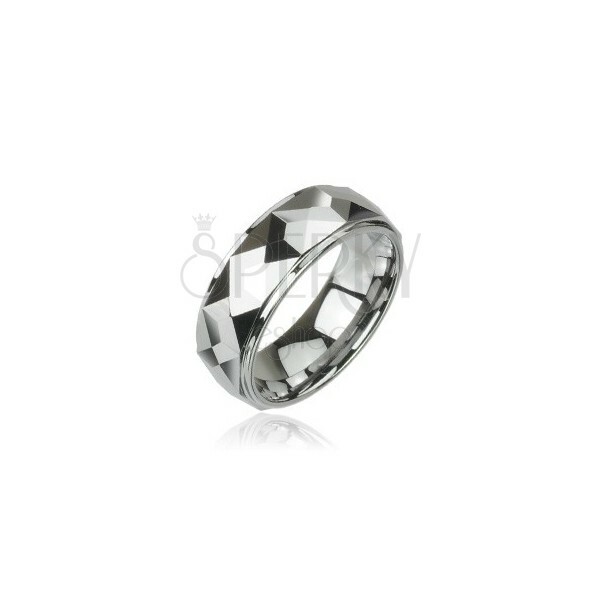 The ring is shiny with thin bevelled edges.